← $120 Million Declares the Biggest Wanker. $10 Million for Real Art and A REAL CAUSE. I have always had an interest in the unique ability to see, hear or sense something that others don’t. You know, the sixth sense. I remember digging to the bottom of the Cracker Jack box wanting desperately to find x-ray glasses (usually ended up with a sticker, but whatevah). The idea of looking at someone and seeing their skeletal system seemed like the ideal pastime. I never imagined that being able to pick up on autism would one day be my sixth sense. I learned after my miscarriage that there were so many women out there who had suffered the same devastating ordeal as I had. Maybe I had ignored the statistics because it didn’t pertain to me. Once I joined the many women who had lost a child in utero, I became aware of its frequency. Maybe awareness comes too late. Maybe we need to keep our eyes and ears open and look for information from those who are screaming their stories on deaf ears. This is how I feel about autism. I feel like I was given x-ray glasses that look into the souls of those who suffer from it. I see the pain in the children’s eyes. I see the worry on the parents’ faces. I see the torment. I see it all, and I see it too frequently.I recall a recent vacation where I had planted my chair near the ocean at the Jersey shore. Kids surrounded us playing in the sand and water. My three kids were running to and from the water and my “beach hawkeye” was fully engaged. I don’t take my eyes off the kids for a second when we’re near the water, and this day was no exception. I usually try to sit in a remote area so that I don’t have to guess which little head in the water belongs to one of my children. On this day, we were in the middle of the action. From the corner of my eye I see a mom and dad hovering over what appeared to be a six or seven-year-old child. They held his hand and frantically followed his every move. It seemed a bit unusual to be so protective of a child his age, but I know that if I did not have a child on the spectrum, I probably wouldn’t have noticed. I watched, smiling at his toddler-like mannerisms. He was such a beautiful child. He bent over and then I saw the confirmation. A diaper was sagging under his bathing suit. I was now fixated on this family. I saw him start to flap his little hands and hum to himself. AUTISM. I looked away and checked on my three babies and then looked around. To my left a teenaged boy sitting in a beach chair with a stick in hand. He was pulling it past his eyes over, and over, and over again. AUTISM. I watched another little boy, who appeared to be a twin, sit in the sand. He just sat there while his brother was yapping away. He had a blank stare and even though he was not as obvious as the others, I knew. AUTISM. This happens to me all the time. I wish I could take these glasses off at times and spare myself the pain…the pain I feel for these children. I wish I could possess a power to heal them rather than just identify their disorder. I wish there weren’t so many kids to see through my autistic eye. I wish. The Jersey shore should have been no surprise. With the current statistics, I’d be shocked if you DIDN’T see a child on the spectrum during your travels. New Jersey has nearly twice the incidence of autism as the national average.1 in 29 boys in NJ is autistic while the national rate is 1 in 54 (which is still sickening). As I traveled on vacations or simply took the kids to the park, or a restaurant, or any public place for that matter, it seemed to surround me. It engulfed my ability to enjoy the day. It robbed me of the joy I should have had. Who the hell can have a good time when your x-ray glasses are exposing the inner pain. How do I shut it off? I can’t!!!! It’s a part of me now. It’s my sixth sense — my autistic eye. Over the years, I have learned to not only see through these glasses but also to reach out to those I watch so closely. I don’t push, but I try to strike up conversation. I try to encourage those whose insides are so visible to me. I tell them to join the revolution and to never EVER give up hope. I am turning my awareness into action. I can’t pretend it is not all around me, because it is. A few months ago, I visited a friend in Florida. We decided to visit a water park in Naples (with six kids in tow, two on the spectrum). We swam, we laughed, we played. I watched. “Hey Goddess, do you see what I see?” I motioned to a child running up and down a concrete path, hands flapping. “And over there?” — another child spinning. “And the little boy in the pool? He’s from H’s class right?” She nodded sadly. She too possesses the autistic eye. We all do. We see the pain because we witness it first-hand each and every day. We fight back the tears as more and more kids appear through those glasses. I mourn their lost childhoods. I cry for their parents. I pray for their siblings. I SEE their pain. A day later I was with my kids at the pool and I saw a preteen boy circle the pool over and over again. I saw the exhaustion on his mother’s face. I saw the empty stare.with the light behind it screaming to come out. I approached the mother and apologized in advance if I was overstepping my grounds. “Excuse me, how old is your son?” I asked. “He is 12. He will be 13 next month. 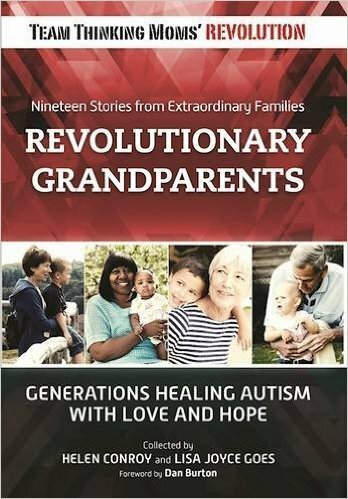 He is autistic.” It was as if she beat me to the punch. She too had the autistic eye and knew that I sensed her pain. I explained that my son also was on the spectrum and was NOW diagnosed with Asperger’s. I explained how I was told he would probably never speak. How he would probably suffer from seizures for the rest of his life. How he would never be “normal” (whatever the F that means). I told her that I refused to give up. I kicked myself for allowing doctors to pump poison into his little body and cried about how I had failed him. Then I picked myself up and decided to not stop until I had recovered my son, and I will recover him. We are sooo close. I told her that the child who would never speak is fully conversational and excelling in school. The child who would suffer from seizures hasn’t had one since the age of 3. The child the doctors wrote off is a healthy eight-year-old thriving in every sense of the word. She then asked me a question, a question I will never forget. “ Which one is he?” Which child in the pool are you talking about because I can’t tell.” Music to my ears. A sweet melody to my heart. He was undetectable on that day. By the end of our conversation we had exchanged information and she was ready to explore her options. So as I grow accustomed to my autistic eye, I often ask myself if I would notice these children that suffer from ASD had I not been affected by it. Would I still see it? Would my glasses be blurred by mundane things and the pain never become visible? I’m not sure it’s possible in this day and age, due to the alarming rates, to not see it, but who knows? I know that my x-ray vision will stay with me forever. I will never lose this sixth sense. I will fight for my son and all those affected by autism. The difference is that awareness is no longer good enough. I have added a seventh sense: the ability to SPEAK on behalf of those who cannot. To be their voice and pass my glasses on to those who are blind to this epidemic. Turn awareness into action and see the world through the autistic eye. Then do something about it. My six year old is just now out of pull ups, he is signing more and speaking more, all though sometimes completely out of context. Though slow and at times completely frustrating, progression is possible. Just because he wasn’t potty trained at 2 didn’t give me license to give up hope. Hope is what we live on, as important as air, water, and food. This blog is proof that my hope is NOT in vain and my son WILL recover!!! That is EXACTLY the kind of attitude that drives us to recovery. Now go out there and share your hope. XO! Wonderfully written and heartbreaking to me. Society must address the needs of these children, I am tired of the delay. I have been researching for many years. May I suggest for those who are looking for possibly new ways to help. There are studies showing that electromagnetic fields lock down and stress cells. Then children are unable to detoxify. Autistic Children who did not show improvement while on healing protocols in which their peers did, were found to be in high EMF environments. When they were removed from high EMF, they showed progress. Sleeping on an earthing sheet is an easy way to accomplish this, or make your own. (earthing.com or lessemf.com to make your own) Magda Havas PHD has a lot of information on EMF. ALSO a hugely amazing company I have purchased from is maxamlabs.com They have some of the most gentle, yet effective detox I have been able to find. I also believe that the gut is important to address. Our gut has a brain and it connects directly to the brain in the head, and keeping GMO food out of the diet and keeping the best quality probiotics is helpful. One more thing I would like to bring attention to is a wonderful therapy called Rhythmic Movement Therapy. It is powerful in the way that it reconnects pathways in the brain that have been disrupted, or not developed fully. This is helpful to everyone, but it is wonderful for kids on the spectrum. I hope I haven’t offended, I just am excited to see some progress~! Information is never offensive. You rock!!!! 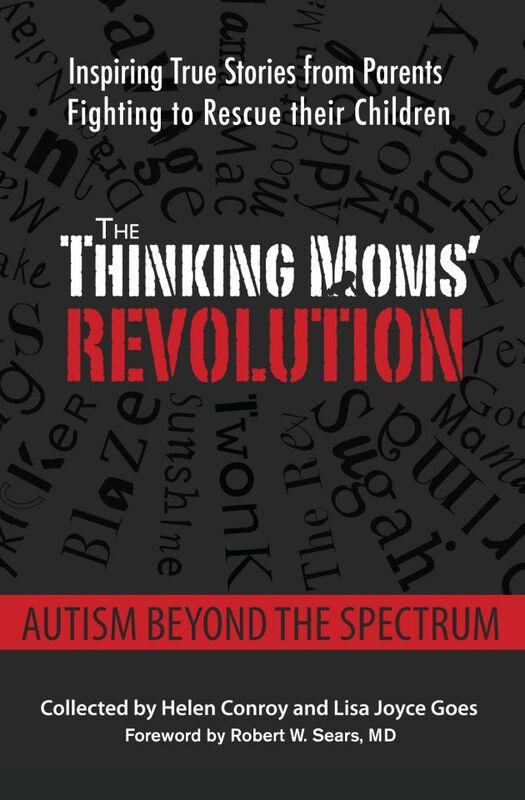 I also have a son on the spectrum, I have tried many things and some have helped him and he is able to speak although he still has ways to go, but I would like to ask for more advice, please what things have you done for your child that have had the best effects? For me one of the many things which was unexpected is Raw Milk. He is scheduled to have his tonsils and adenoids removed next month too, as we found out that they were incredibly enlarged and were obstructing oxygen especially while he sleeps. Doctor said that this will help him a lot with any behaviors and possibly other autistic symptoms… I can only pray it will. Myself I get exhausted battling with her, so I left this one up to my husband. He turned to her and said “Maybe he’s autistic Mom, maybe something is bothering him and he can’t talk. Maybe his only way of communicating is to yell and cry?” She shut up immediately as she recognized his tone and that he was upset by her comment. As our meal went on nothing was said at our table. But I was listening to the parents talk to the little boy. It was apparent they didn’t know and I thought it would be better to not say a word because I didn’t want to offend. But i could hear the parents becoming frustrated so I turned around and said “The cries don’t bother us, we have a son who is autistic. Maybe if you give him come crayons and a paper and let him color it will help. Sometimes all the noise is over stimulating for my son so we request to usually sit in the back where it’s quiet.” I gave them a smile and paid our bill. As we were walking out I wanted so badly to talk more but it seemed as though they weren’t interested in talking. It was so easy to spot out I saw the blank stare in the boy’s eyes. You know that typical stare with no emotion I’m talking about. Was there another way I could have gone about talking to them? Mama Bear, I love the way you so eloquently express yourself in this article. You have a gift. I shared it on my FB page. I am an educator and consultant who also has the “autism eye”. Your words inspire me. 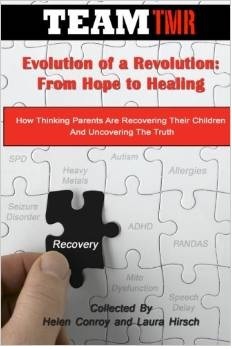 It is SO painful when you HAVE done EVERYTHING that brings “recovery” to others and none to your own family.I have helped so many families make great progress and changed the culture for special needs persons in so many environments that have helped others but not my own children, but that’s is ok. It really hurts more, than even bad behaving family, when other parents, mostly moms, suggest that we have not tried hard enough to help our children, our family. We are often judged by other families dealing with autism too as not being true warriors, being worthy of respect for our never giving up even though we have not experienced the “blessings”‘ other have. What does “blessed” mean anyways? Blessed people are ore worthy so they get recovery,experience miracles, realize a better quality of life? And if your family is not blessed so, is it because you do not deserve a better life? Be careful not to judge when offering help, advice, and support. Be grateful if you are the lucky chosen “blessed” families. How did you stop your son’s seizures? My daughter has had seizures since she was 11 months old. She is now 10 and had her last episode in January. We finally got a pdd-nos diagnosis this past fall. Her developmental issues were always attributed to seizure medication side effects, and the neurologist reassured us that she would grow out of the seizures. That’s looking less likely to us by the year. Any advice would be appreciated. We use B6/P5P & magnesium for seizures; however we are seeing more improvement adding folinic acid/5-mthf in higher doses than typical. Look into folate antibodies/Dr. Quadros, pyridoxine and folinic dependent seizures, cerebral folate deficiency. Thank you so much, I will check them all out. Very inspiring and so true. Thank you, mamabear. We have to be that voice as much as we can, individually and collectively. “Which one is he?”…. I LOVE that question Mama Bear!!!! You are raising three amazing children and HE is no different. 2 more days and I get to squeeze you!!!!!!!!!!!!!!! Thanks so much. I cried……………..
Once your eyes have been opened….you can’t go back to being blind. Nicely written, Mamabear!